Meo SA1, Almahmoud M1, Alsultan Q1, Alotaibi N1, Alnajashi I1, Hajjar WM2. 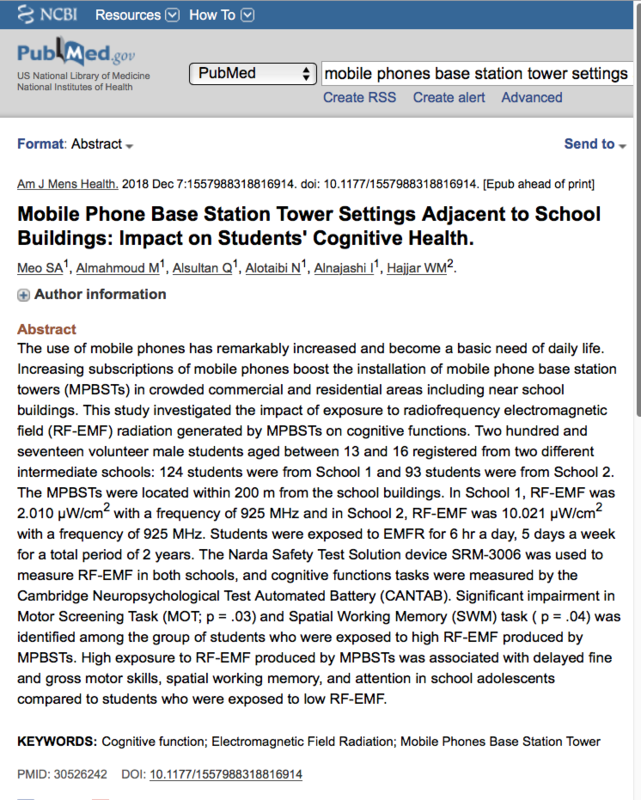 High exposure to RF-EMF produced by MPBSTs was associated with delayed fine and gross motor skills, spatial working memory, and attention in school adolescents compared to students who were exposed to low RF-EMF. Thank you to RM for sharing this report with us @ Z5G!